When you go to a regular dental office for a checkup and cleaning, they’ll look at your teeth and gums for any signs of trouble, and that’s it. At Powell Dental Group, however, we go well beyond that to safeguard our patients’ smiles and overall health at the same time at no additional cost to you. Led by an experienced dentist and certified nurse practitionerm Dr. Shelley Shults, our team will turn your routine dental visits into opportunities to avoid both dental and general health problems alike, which is certainly worth smiling about! To schedule your next preventive appointment and experience the Powell Dental Group difference, contact us today. Why Choose Powell Dental Group for Preventive Dentistry? We recommend that patients of all ages, both young and young at heart, should attend at least two checkup and cleaning appointments each year. 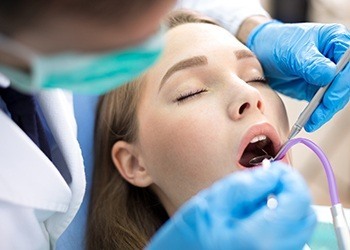 At the appointment, not only will our hygienists remove any plaque and tartar from your teeth but will also examine the hard and soft tissues of your mouth as well as the muscles of your head and neck. We also review your medical history and go over any systemic symptoms that may have developed, as well as check your blood pressure and oxygen saturation at every appointment. This comprehensive approach enables our team to catch and treat issues most other dental practices miss, helping us solve the root of an issue rather than just deal with the symptoms. The back teeth, with their wide and deeply grooved surfaces, provide the perfect places for plaque, bacteria, and food particles to become trapped and cause cavities. This is especially true for small children who are still learning to brush effectively! Dental sealants enable us to shield these vulnerable teeth using a thin, clear layer of a composite resin that quickly hardens into a protective barrier. They take minutes to apply but can provide up to a year of round-the-clock cavity defense. Common problems like worn down teeth, a sore jaw, chronic headaches, and even frequent earaches can all be attributed to bruxism, or unconscious teeth grinding during sleep. This can cause a lot of dental damage and facial pain if left alone, but a nightguard is a simple solution that’s proven to work. It’s a custom-made oral appliance that places a thin barrier between the rows of teeth that prevents any harmful contact during the night. Children and adults alike just love to play sports, but no matter an athlete’s age or level of play, their teeth can easily be damaged by unexpected impacts from other players or flying equipment. 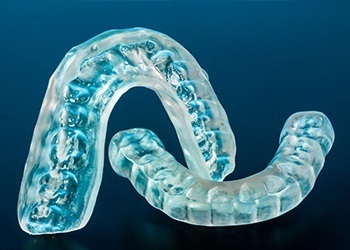 Rather than wearing a bulky, one-size-fits-all appliance from the store, we can provide our patients with mouthguards that are custom fabricated just for them. 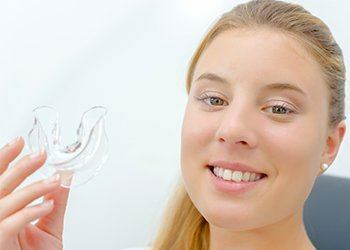 Every appliance is shaped to comfortably fit over a patient’s unique teeth anatomy, and this also helps them provide a level of protection you just won’t find at the store. Oral cancer has very subtle symptoms initially, leading many patients to not notice something until the disease is quite advanced and not easily treatable. To keep our patients safe and give them the best chance of beating it, we perform an oral cancer screening at every checkup. Dr. Shults also performs a check of your head and neck for lesions and tumors. We’ll keep an eye out for any growths or sores that could indicate cancer, and if we find something, we can arrange for a biopsy right away. For decades, fluoride has provided a proven cavity solution that comes straight from nature, which is why you’ll often find it added to toothpaste and community water sources. Whenever the teeth are exposed to this mineral, fluoride strengthens it and may repair minor damage with remineralizing ions. 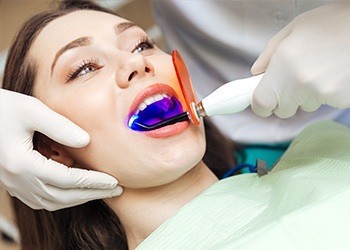 At the end of regular checkups, we can give you and your loved ones an applied fast-release concentrated fluoride varnish that is readily adherent to your enamel to ensure your smiles stay strong and cavity-free between appointments. Children have their own unique set of dental needs at every stage of development, and visiting a dental practice that tailors their care to each child’s age and personality is paramount to both healthy teeth and a pleasant experience. 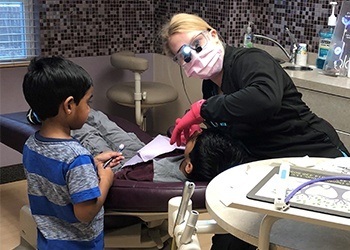 At Powell Dental Group, we welcome growing smiles of all ages, and we’ll always go above and beyond to not only deliver personalized care, but ensure that both kids and parents feel completely comfortable from check-in to checkout. Taking care of your teeth is only the beginning here at Powell Dental Group. For patients dealing with gum disease, scaling and root planing provides a targeted treatment that is proven to eliminate infection at the source. We’ll take a look at your gums every time you come to see us so we can identify problem areas as soon as possible. After initial treatment, we’ll work diligently to prevent any reinfection as well. You don’t need a degree in dentistry to know that going to the dentist makes a lot of people feel nervous! 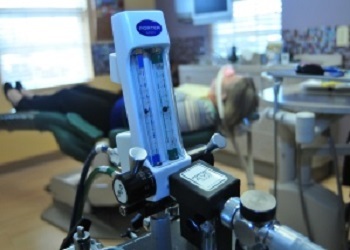 Fortunately, we’re more than ready to help our anxious patients using an approach called sedation dentistry. Nitrous oxide, IV sedation, and oral sedation are all available. 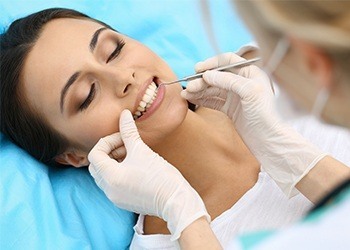 No matter what kind of procedure a patient needs or their level of dental phobia, we’ll find the perfect solution for them so they can take care of their teeth without any stress or worry. 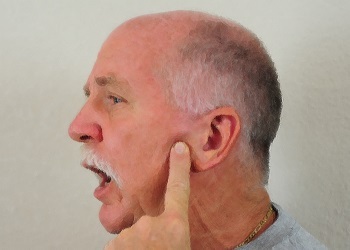 An often overlooked part of oral health is the jaw joint, which is called the TMJ (temporomandibular joint). Like others in the body, this joint can become inflamed, misaligned, and develop dysfunction, which can lead to pain throughout not only the jaw, but the head, neck, and even back in some cases. Using comprehensive exams and custom-made therapeutic mouthpieces, we can restore both balance and function to a troubled TMJ while also providing lasting pain relief.